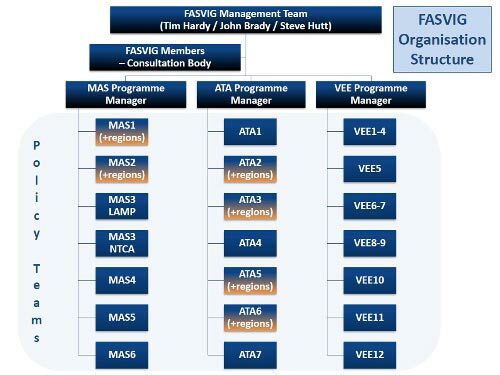 FASVIG Champions will work in teams to progress the Packages of Change outlined in the FAS VFR Implementation Programme. 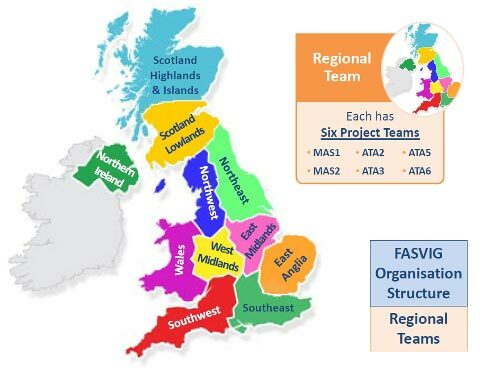 There will be 21 Policy Teams and 11 regional Teams, which will be overseen by their respective Programme Manager, who will report to the FASVIG Management Team. The FASVIG Members will provide a consultation body for the FASVIG Management Team. 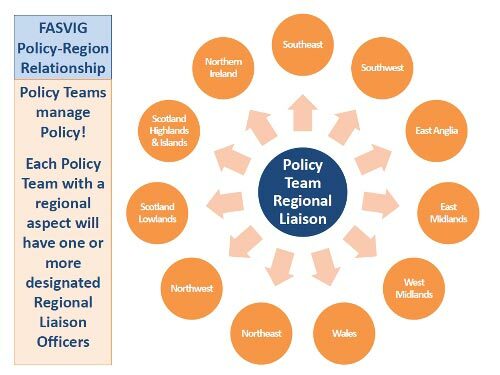 The Regional Teams will each run six project Teams – one for each of the Packages of Change that have a regional aspect. These are MAS1, MAS2, ATA2, ATA3 ATA5 & ATA6. 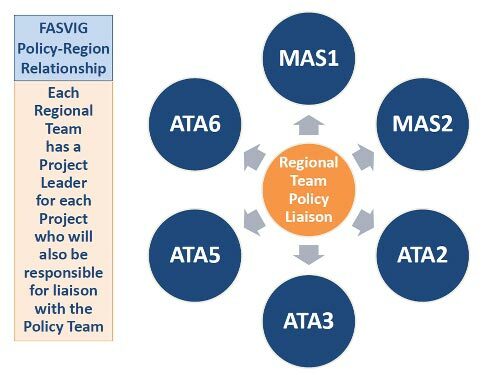 The Policy Teams for MAS1, MAS2, ATA2, ATA3 ATA5 & ATA6 will liaise with their counterpart in the Regional Teams to ensure consistency of application. The Region Project Teams will liaise with their counterpart Policy Teams. The Regional Project Teams will take the policy developed by the Policy Teams and apply it to airspace requirements in their region.